Note! Following directions, step-by-step, is REALLY important on the these assignments, especially when exporting, naming files, and where to put the files. Turn this doc in via your Google Classroom assignment. Basic directions Get headphones, earbuds, and work on Key Chain 3D printing project by watching Part A , Part B and finally Part C using Google Sketchup. Make sure you’re pausing your video and doing what needs to be done. Do NOT try to watch the entire movie first. Note: a mouse will be brought to you by one of your classmates. Carry your laptop with two hands! 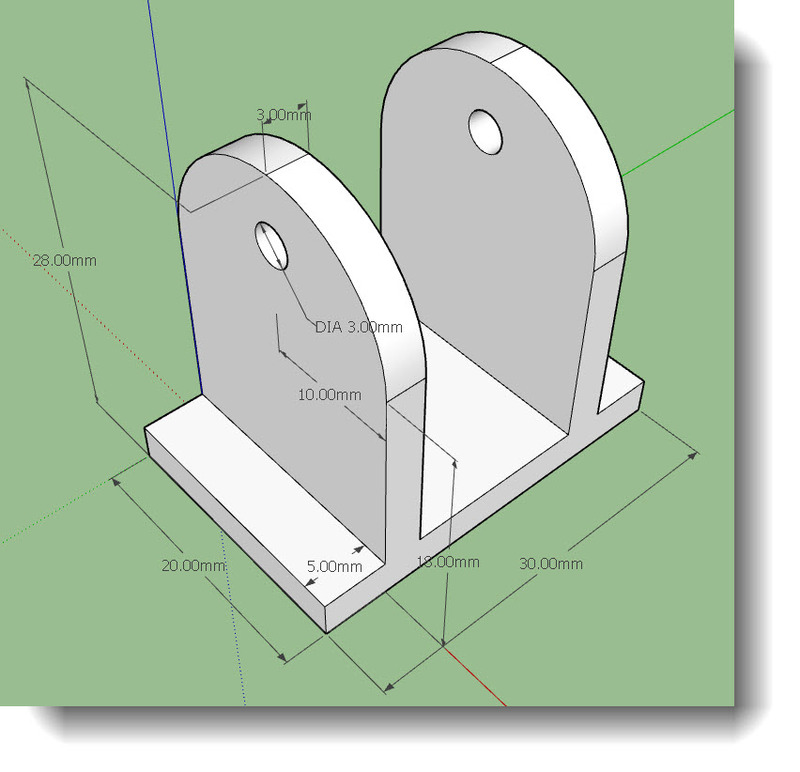 Use the dimensions in the picture to draft the object. THEN – copy and paste your object and with the copy alter the object. Steps: Students should first create a sketch in their composition books with rough dimensions and check with the teacher before starting in Sketchup. Minimum ‘thickness’ should be no less than 3mm. and finally a one or two word description of the activity. Objects will be printed in order that are on that list. You may or may not have your choice of color.